We hope your summer is going well. Ours has been full of ministry trips to Virginia, Los Angles, and Mexico, on campus ministry, and a family vacation to Tahoe. We are so thankful to have your partnership with us in prayer. Know that your prayers make all the difference in the ministry we do. Here are some of the things God has been doing this summer. First an amazing life change story about a student in our ministry, then some of the details of what we’ve been doing this summer. Finally, there are some prayer points at the bottom. Please e-mail us back or communicate with us on Facebook if you need prayer or God speaks anything to you as you are praying for us. We’d love to hear from you! I shared a little bit of Chelsea’s story in a past newsletter. Just to remind you, or if you didn’t get to read it. Chelsea came to know Christ back in February when I first arrived at Stanford. She then had an impromptu baptism on Easter Sunday in her Easter dress when God put it on her heart to be baptized for the first time while watching another Chi Alphan get baptized. Just this last Wednesday, Chelsea told a story about how God used her to be salt and light (something I had given a sermon on a few weeks earlier). Here’s the story she told. Chelsea arrived at the house where she is staying for the summer to find a party going on with about 50 underage teenagers drinking and getting high. Apparently, the daughter of her landlord had decided to throw a party while her parents were gone. Chelsea was frustrated and tired from a long day of work. As she sat in her room, all she could hear was loud music and yelling outside of her room. She shared that in the midst of her frustration, she began to think, “What would Chi Alpha do? How would Chi Alpha people be salt and light to a bunch of drunk people?” Then God brought to her mind the monthly pancake outreach we do where on a Friday night we make and hand out pancakes to people coming out of frat parities who are often drunk and high. Chelsea went down and started making as many pancakes as she could. She said that as people would come up and ask what she was doing. She would tell them she was making pancakes for them because Jesus loved them. Soon she had a line of 20 people waiting for pancakes and letting her tell them about how Jesus loved them and had a better plan for their lives than what they were living. Talk about being salt and light! This from someone who came to Christ just 5 or 6 months ago. How have you been salt and light in our your community, workplace, or family lately? Post your story on our Facebook page. This summer, with many of our student leaders gone doing internships and working around the globe, I have had the opportunity to use some of my other gifts within our Chi Alpha community. I have led worship just about every week of the summer so far. After spending most of the year mentoring worship team members, it has been fun to play music with them and to help lead them in worship. I’ve tried to add my own flavor while still maintaining the AWESOME worship Chi Alpha is known for. I also had the opportunity to speak for the first time back at the beginning of July. (you can listen to the message here). I talked about Salt and Light (Matthew 5:13-16). It went really well. I received great feedback and got to pray for a number of students who have a deep passion to be greater salt and light to our campus. In fact, one girl gave a testimony about how God used that sermon to help her be Salt and Light just this last week where she is living. Check it out in the student snapshot above! I will also be giving August 7 on Matthew 7:7-12 (Ask, Seek, Knock) and on August 14 on Matthew 7:13-29 (Living for Eternity). Health for our family as we are all recovering for a summer bug that went through the house. How can I partner with the Kertsons? Meeting other leaders: The conference had about 125 staff and student leaders from these various schools. This was just about the right size for us to be able to meet and have meaningful conversations with each of the different Chi Alpha directors during the three-day conference. Each school shared a testimony sometime during the weekend and it was exciting to hear how much God was at work at all of our different campuses. It was also encouraging to share stories and get to meet families who look a lot like ours and are doing amazing things for God. It is possible to have three little kids and be used by God! Freedom: The theme of the conference was freedom. We talked a lot about how to lead out the freedom God has given us and how to lead our students into freedom. One great line from our speakerCurt Harlow was, “Prisoners can’t set prisoners free. Only free people can set prisoners free.” Kendra, I, and our Stanford team all experienced greater freedom in God as well as some practical tools on how to share that freedom with both Christians and non-Christians. Looking toward the future: There were some awesome opportunities at this conference to dream toward the future. 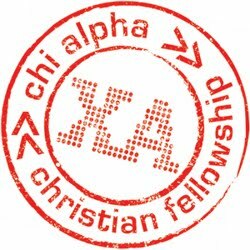 As many of you know, Kendra and I are praying toward pioneering a new Chi Alpha at a campus after our time of learning from the Stanford team. We were able to dream some about what that might look like and get some concrete details about possible campuses that would be good fits for us. Even though we still have a lot of ministry left to do at Stanford, it is always exciting to dream about the future too. Copyright © 2013 Brandon and Kendra Kertson, All rights reserved. We sent you this e-mail because we thought you'd be interested in our ongoing journey and what God is doing through our ministry. If you don't want to know or don't want more e-mail that's fine, just unsubscribe.